The Masters Expression series from Looq Records showcases the work of established, experienced electronic music artists who are invited to compose music that is unique, weird, or innovative in regards to their own personal style. Each artist is challenged to engage in a deep, fearless exploration of their own dance music taste and obsessions, and deliver the musical results. Marshall Watson reflects on his own creative journey for the series. "Sitting at my desk staring at my monitors, I had nothing. It had been two weeks and I still had nothing. So I did what I do when I have nothing creatively, I got the hell out of there and went for a walk with my wife. Sometime during that long walk around San Francisco, the lyrics (really just a single phrase) started rattling around in my head and they kinda stuck. I fired up the machines and started with a single chord that I could sing to-and that began "When I Walk With You." This track is about moments of euphoria and some serious 'get to work' bass. It sits, in my mind, somewhere between Four Tet and early Daniel Avery-kinda dreamy but with an 80Hz wallop of analogue." 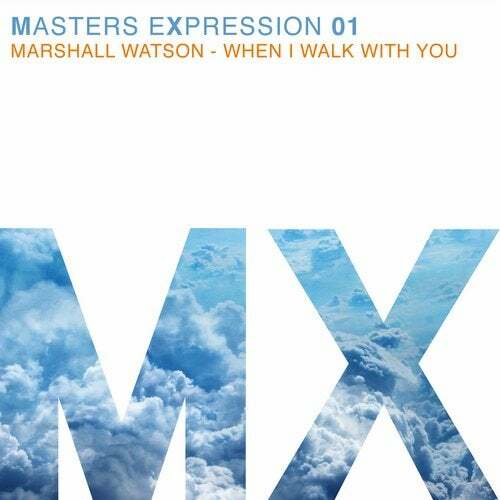 Marshall (Shane) Watson is an accomplished electronic music producer and remixer. During the 90s, while living in New Orleans, he discovered electronic music through acts like Orbital, Rabbit in the Moon and DJs Sasha, John Digweed and Chris Fortier. During this time in New Orleans he befriended progressive house icon, Pete Lazonby and through a series of existential music conversations between the two, (and a short stint promoting a DJ night with Pete by the Mississippi River) Marshall began his production career. In 1999 he moved to Seattle and was heavily inspired by 2000 era Morr Music artists like Herrmann & Kleine, Lali Puna and Ulrich Schnauss, and some serious rainfall. In 2004 he released his first album The Time Was Later Than He Expected, on the Sheffield label, Highpoint Lowlife. He continued to release music with Highpoint Lowlife, including one more album and several singles on various compilations before relocating again to San Francisco in 2009. Connecting with Looq Records in 2013 at the long standing Qool Happy Hour, he signed his EP Do Want What You, which was supported by the likes of Sasha, Chris Fortier and Hernan Cattaneo. Since then, Marshall has remixed some of Looq Records' finest artists, including Jondi & Spesh, Mark Slee and MOMU. In 2016 he released the Sitting Near Dreaming EP an ambient work on the Barcelona Label, Seven Villas Voyage, sister label to Seven Villas. HIs third album, I'd Rather Be In Space, was released on Looq Records in early 2017, Marshall lives in San Francisco with his wife and two cats. He is the owner and Music Director of Marshall Watson Music, and a composer for Swell Music and Sound.